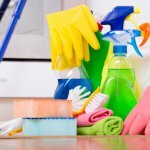 Home » All Posts » What Is an Air Scrubber and How Does It Work? If you think you are protected from air pollution inside the comfort of your home, you are sadly mistaken. According to the Environmental Protection Agency (EPA), indoor environments are around 2-5 times as polluted as the air outdoors, and occasionally up to 100 times as polluted! The EPA has ranked indoor air pollution as one of the top 5 environmental dangers facing our planet. As the temperatures drop and we start spending more time indoors, the quality of our indoor air becomes more and more important to our health and well-being. While there is little you can do to affect the quality of the air outdoors, there is a lot you can do to improve indoor air quality (IAQ) at home. If you have a forced air system in your home, there are many different modifications you can make to your existing HVAC system to improve the quality of the air you breathe. When researching ways to improve your home’s indoor air quality (IAQ), you may have come across information on Air Scrubber Technology. But what exactly is it, how much does it cost, and will it work? If you’re curious about Air Scrubbers for your home, you’ve come to the right place. While sometimes referred to as “Negative Air Machines,” Air Scrubbers are actually a different technology and application. Air Scrubbers are used by mold remediation specialists, renovation companies, and other job sites to help improve the surrounding air quality. They were even used in the Pentagon after 9/11 to clean and purify the air. In these instances, they act as a portable air purifier without any attached ductwork. Air Scrubbers, however, can also be used as a permanent fixture inside of existing ductwork. Service Champions offers many different air cleaning solutions for your home, but we are especially proud to offer Air Scrubber Plus®, the latest and greatest in air cleaning and filtration technology. As of 2013, Air Scrubber Plus® can be used in residential applications. Air Scrubber Plus with ActivePure™ technology removes up to 99.9% of the harmful contaminants in your home. Air Scrubber Plus® is the only air cleaning technology awarded the Certified Space Technology seal of approval by the Space Foundation (in cooperation with NASA). Air Scrubber Plus® doesn’t just treat the air, it also helps to clean the surfaces of your home, such as countertops, bathrooms, kitchens, and doorknobs. The Air Scrubber Plus® is designed to fit into your existing HVAC system. Installed directly into your forced air duct system, Air Scrubber Plus® utilizes many different technologies to clean and purify the indoor air. When your air conditioner, fan, or furnace gets turned on, air flows through the titanium dioxide-coated honeycomb matrix. When inside, the airborne contaminants pass through a strong UV germicidal light which works to disrupt the DNA of any airborne contaminants to render them useless. Once the DNA is scrambled, the active pollutants effectively die. 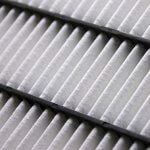 Air filters can trap pollutants, but only air purification systems such as Air Scrubbers actually kill the contaminants and pathogens in your home. 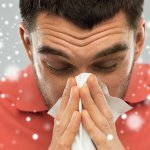 Many people who think they are allergic to dust are actually allergic to dust mites, microscopic creatures that are just as alive as any other living creature. When living things like dust mites get zapped by UV light, they die. Air Scrubber Plus® goes beyond just UV rays. While germicidal UV rays can reduce airborne contaminants that pass through its powerful rays, Air Scrubber Plus® with ActivePure™ technology actively sends air scrubbers into the indoor environment. As the airborne contaminants pass through the Air Scrubber ActivePure™ technology, they are transformed into powerful oxidizers, which get disseminated into the environment, helping to eliminate pathogens in the air and on surfaces. 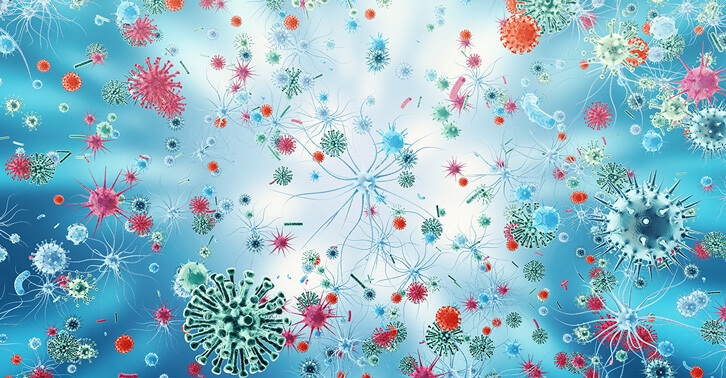 Reactive metals combined with UV light and a proprietary catalytic process transforms the particulates into charged clusters of hydrogen and oxygen (hydrogen peroxide, hydroxyls, and superoxide ions), which are antimicrobial agents found in nature. The “friendly cleaners” get released back into your air to help reduce contaminants in the home, both in the air and on surfaces. The scrubbers are effective against gases, vapors, VOCs, and offensive odors. Once released, the particles become supercharged (superoxide ions and hydroxyls) to attack and destroy contaminants, fungi, mold, and odor-causing bacteria. Even the contaminates that hide underneath cushions and rugs get found and eliminated by the charged ions. The charged “air scrubbers” get rid of the microscopic impurities that are invisible to the human eye. Air Scrubber Plus® attracts positive ions (the majority of particles in the home) by using negatively charged ions. Air Scrubber Plus® also has models available with ozone technology to enhance its ability to combat strong odors from pets, household products, smoke, and more. Keep in mind that ozone-free models are also available. “The Certified Space Technology logo is licensed to activTek by the Space Foundation for use on Air Scrubber Plus® purification products. The Space Foundation recognizes products whose origins come directly from technology or resources derived from the space program” (Air Scrubber Plus). While air filters work to capture larger airborne contaminants, such as dust and dirt, Air Scrubbers actively clean the air by releasing “air scrubbers” to reduce the amount of volatile organic compounds (VOCs), contaminants, mold, odors, and pollutants in the air and on surfaces. Air Scrubber Plus® not only helps filter the air, it also helps clean, deodorize, and purify the air. 99.99% of surface mold will be eliminated with Air Scrubber Plus® technology. According to their website, “In only 30 minutes our technology reduces over 90% of the pathogens in the air — which is 50 times more powerful than normal HVAC filtration” (Air Scrubber Plus). Instead of using Febreze and other “air fresheners,” which add chemicals to the air, air scrubbers reduce airborne toxins in your home naturally. Whenever you turn on your air conditioner, furnace, or fan, the air scrubbers go to work, cleaning the air and surfaces with air scrubbing technology. If you have pets at home, Air Scrubber Plus® cleans, freshens, and purifies the air, including odor-causing bacteria and odors caused by pets and cooking. In addition to making everyone in the home feel better, Air Scrubber Plus® technology also extends the lifespan and efficiency of your HVAC system. Instead of damaging and dirtying your HVAC system, indoor air contaminants get broken up and eliminated by the Air Scrubbers. This translates to a longer-lasting HVAC system, less repairs, and lower energy bills. Will an Air Scrubber Work? Yes! Air Scrubber Plus® is proven to be safe and effective in many peer-reviewed scientific studies. It is clinically proven to reduce dust, mold, pollen, and many other indoor air contaminants. Harvard University Studies, NASA studies, and may other university and scientific papers conclude that Air Scrubber Plus is effective at improving indoor air quality, health, and wellness. If you want to reduce your exposure to volatile organic compounds (VOCs), gaseous compounds, airborne contaminants, and their negative effect on your health and wellness, Air Scrubber Plus® is right for you. Air Scrubber Plus® is beneficial for everyone. They are used in homes, hospitals, day cares, and many other indoor spaces. Even if you aren’t a clean freak, you’ll want to learn more aboutAir Scrubber Plus®. Take advantage of the many benefits of Air Scrubber Plus® today. How Much Does an Air Scrubber Cost? Air Scrubber technology generally costs around $1,000-$2,000 depending on the size of your home and HVAC system. Given the high costs of HVAC repair, replacements, and utility bills, combined with medical costs, it is well worth the investment. Speak with a professional HVAC contractor for a custom solution. Service Champions knows how important healthy indoor air is for your health and well-being. We stand by our indoor air quality products and can walk you through each of our IAQ products to help eliminate indoor air particles and pollutants. Service Champions is known for trustworthy, on-time heating and air conditioning service throughout the East Bay, South Bay, and Sacramento areas. Contact us today to schedule your custom indoor air quality solution.